Publicly we will be able to see the car in 3 weeks in Paris. The differences of the sports car from the standard Kodiaq are visible on the more aggressive front end, reinforced front posts, fully LED headlamps and light-alloy wheels of 20 inches. 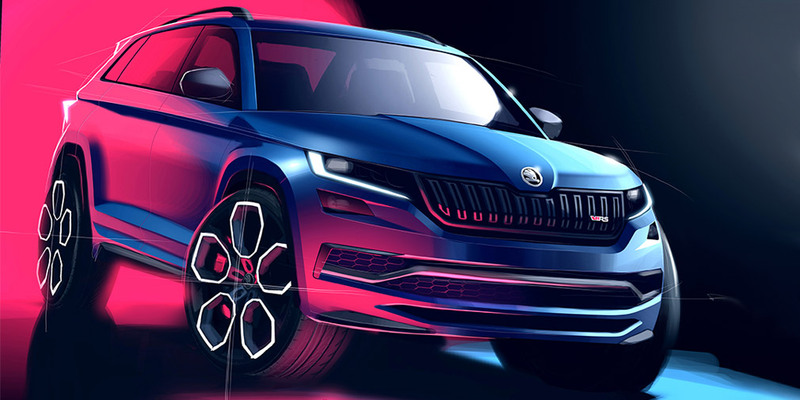 Skoda Kodiaq RS will receive the most powerful diesel engine in the history of the Czech brand. The cross will be equipped with a 2.0-liter 4-cylinder supercharged engine for 240 "horses" and 500 Nm. The unit is provided with a "robot" for 2 clutches, as well as an all-wheel-drive system.